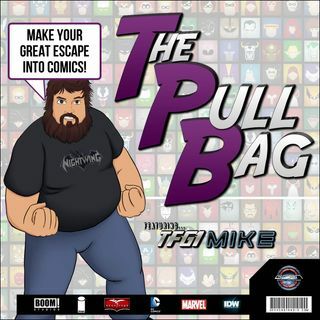 In Episode 326 of The Pull Bag Mike and Ryan dive into five different #1 issues all from writer Brian Michael Bendis. They’ll be giving you their thoughts on the number one issues from BRILLIANT, POWERS, SCARLET, THE UNITED STATES OF MURDER INC., and TAKIO! So jump on inside The Pull Bag and see if hearing our thoughts on these will make you want to try them. As always Make Your Great Escape Into Comics!! !